Algo Más won a competitive pitch to work with the TAFE SA team to produce a Short Course Guide for the many short courses they offer. 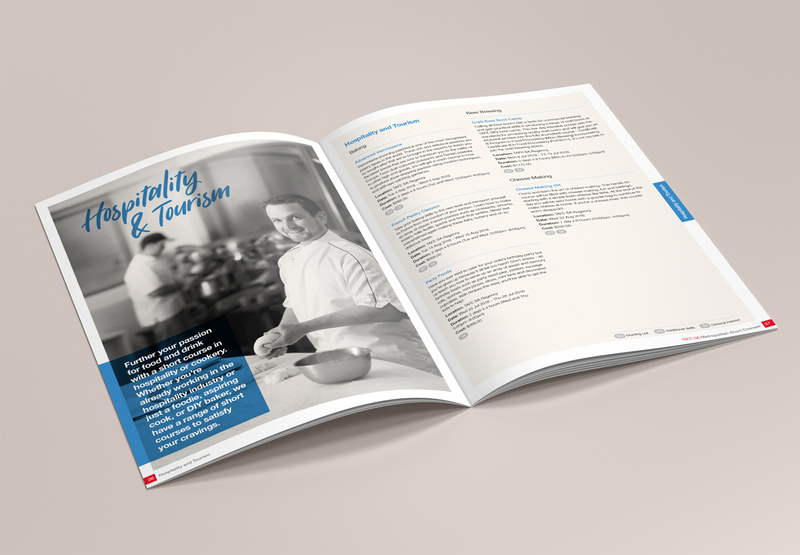 The TAFE SA brand was extended to convey more personality to each course area, by using handwritten typefaces accompanied by the black and white photography with bright accent colours, conveying a sense of joy and excitement the students experience in pursuing what they love. A major photoshoot was also undertaken to capture current and past students enjoying their areas of interest. 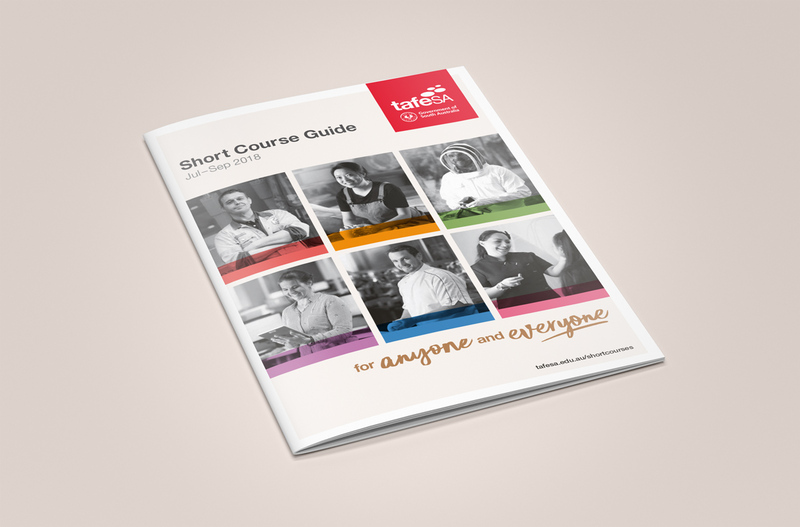 This comprehensive 80-page document showcases the many and varied courses available at TAFE SA. 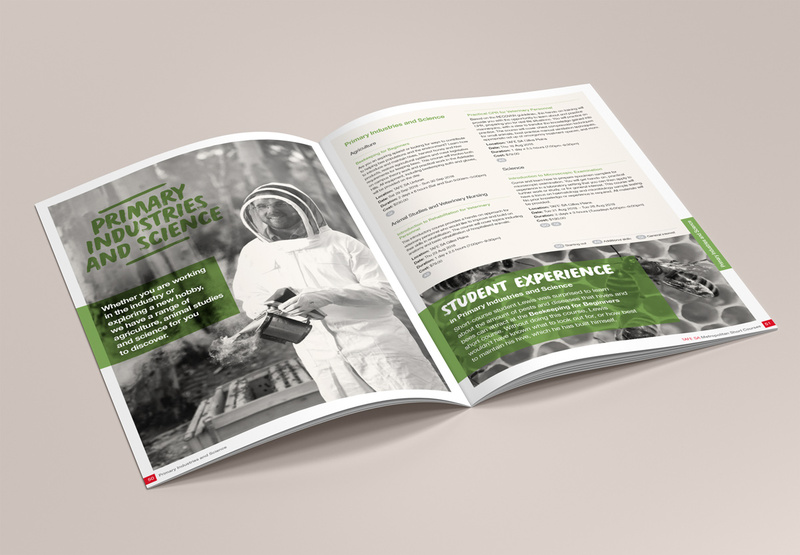 Click here to view on ISSUU.